This coverage option protects you from damage or injuries to other people as a result of a truck accident. This coverage is mandated by state and federal agencies. This insurance is coverage for your truck and trailer. This coverage is for repair or replacement for damage resulting from things such as collision, fire, theft, hail, windstorm, earthquake, flood, mischief, or vandalism to your owned vehicles. Motor Truck Cargo Insurance protects the transporter for his responsibility in the event of damaged or lost freight. The policy is purchased with a maximum load limit per vehicle. This coverage provides protection for injuries or property damage sustained while on your premises, using your products or services, or because of a breach of contract. Our company can offer you many lines of coverage for Artisans Contractors, Contractors Liability, Contractual Liability, Electrical Work, and Plumbing. Non-Trucking Liability (Bobtail Coverage) provides Limited Liability Insurance for owner-operators who are permanently leased to an ICC regulated carrier. 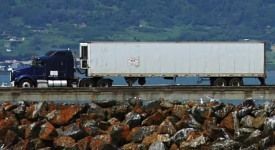 It provides limited liability protection when the owner-operator is not on dispatch, nor pulling a loaded trailer.